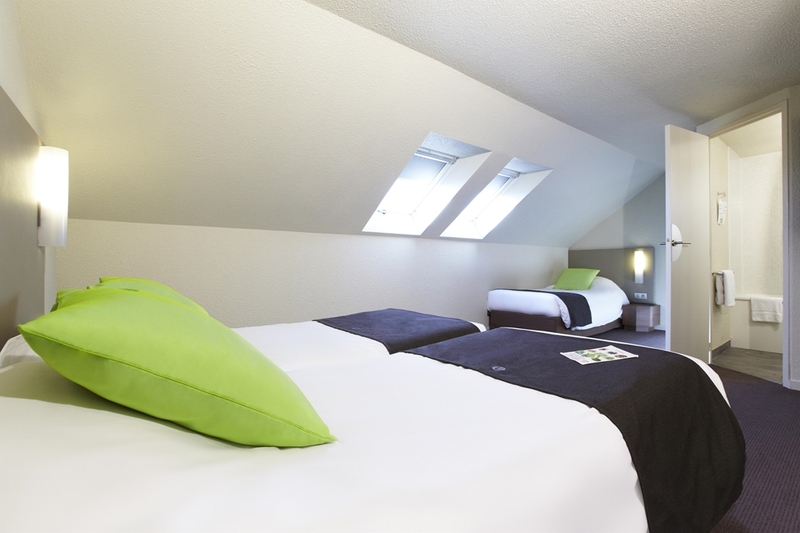 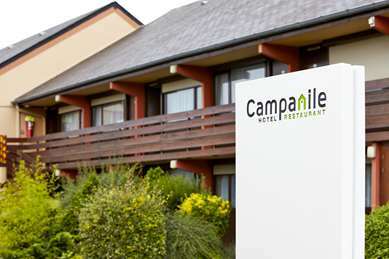 Situated just 18km from the city centre of Dunkerque in the Nord-Pas-de-Calais region, the Hotel Restaurant Campanile Dunkerque Sud - Loon Plage is positioned perfectly for you to explore the surrounding sea and countryside. 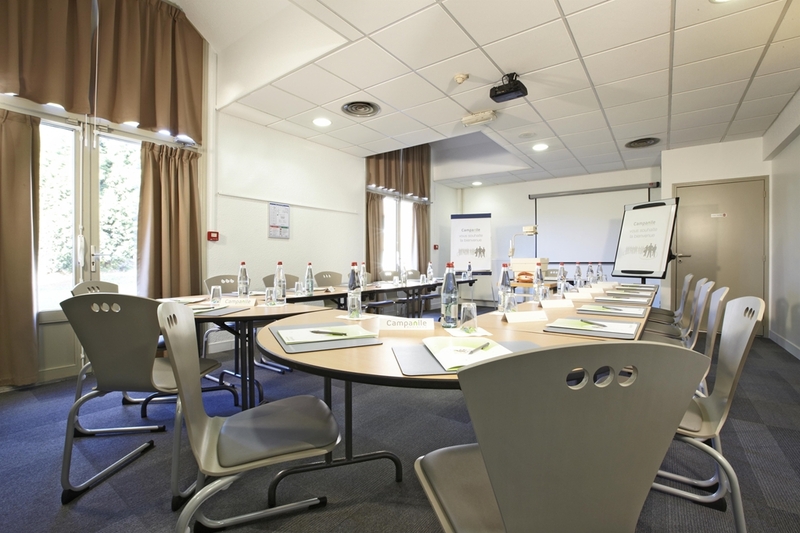 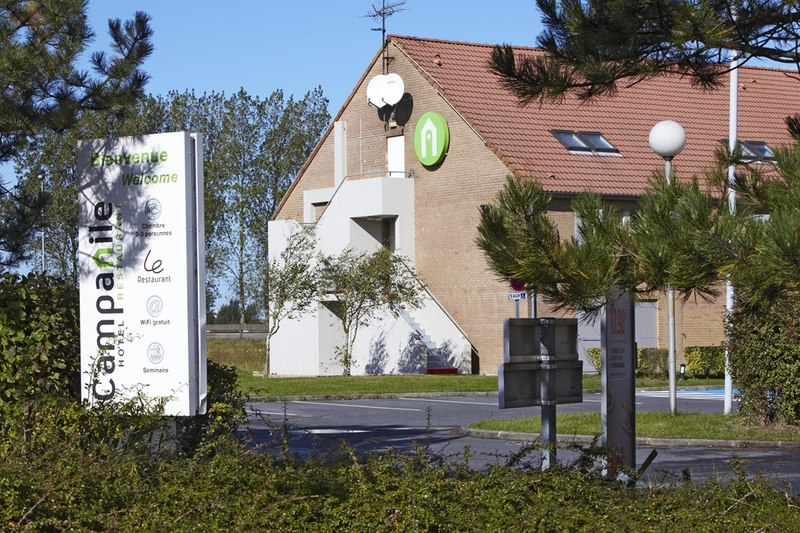 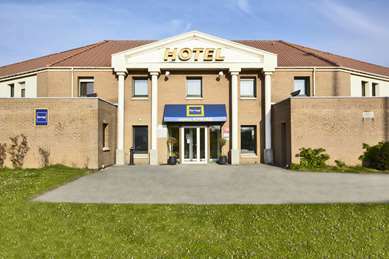 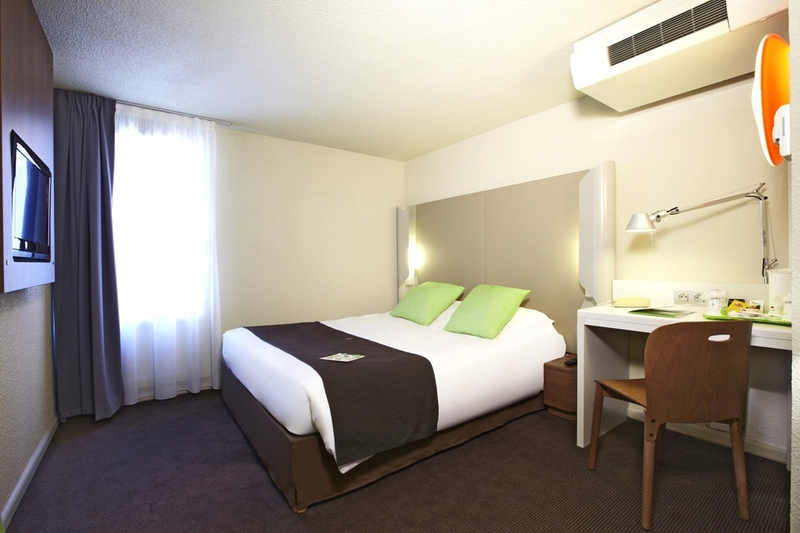 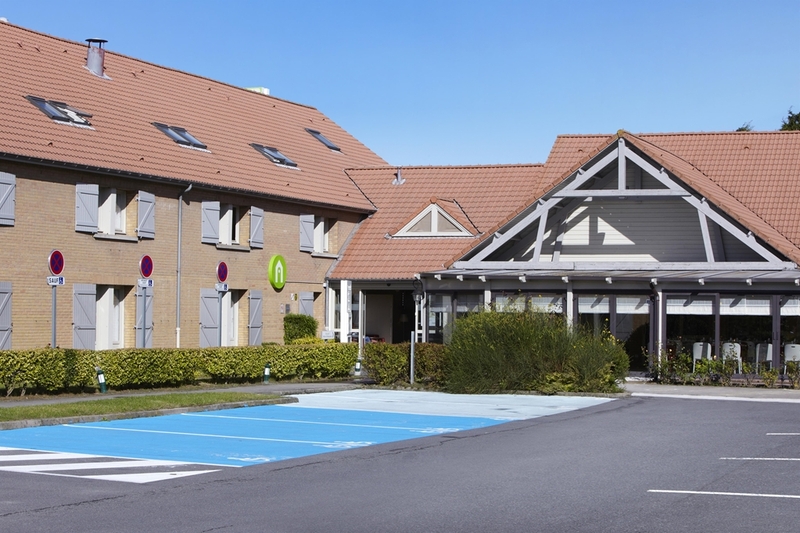 The train station is only 18km away while Lesquin Lille Airport is 80km from the hotel, which in in addition is positioned 3km from the A16 highway, off exit 53. 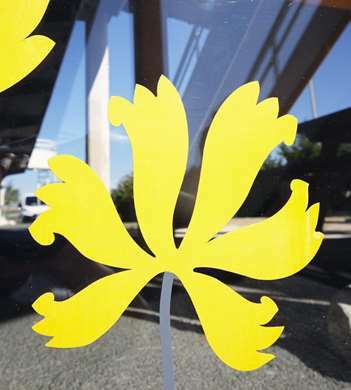 A bus service operates within Dunkerque and the nearest stop is only 200m away, making it a convenient way to travel around. Dunkerque is an ideal tourist destination with many great points of interest. 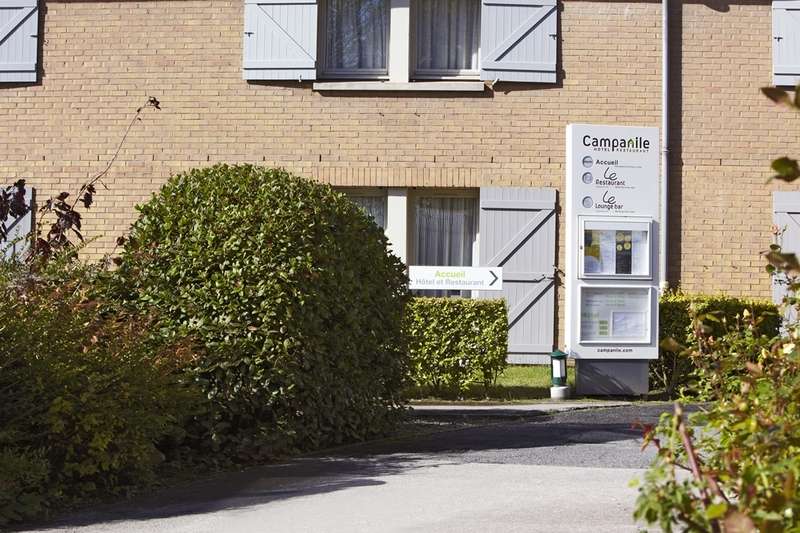 The closest beach, Malo Les Bains, is only 20 km away, giving you a great day out. 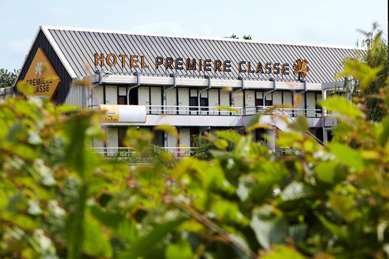 The local AMC Cinema is 18km from the Hotel Restaurant Campanile Dunkerque Sud - Loon Plage and the Dunkerque Casino is roughly 20km away. 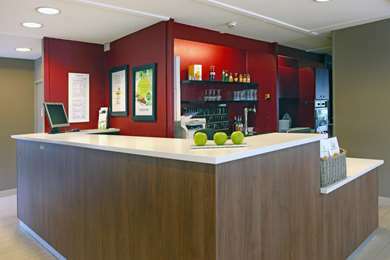 Tennis, swimming and ice-skating facilities are all within a 3km radius and there is a go-karting track 20km away. 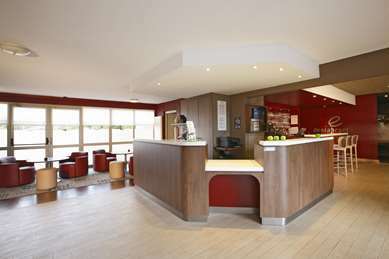 If you enjoy golf, you can play on the 27-hole Grand Littoral Golf course, which is a short 15km distance from the hotel. 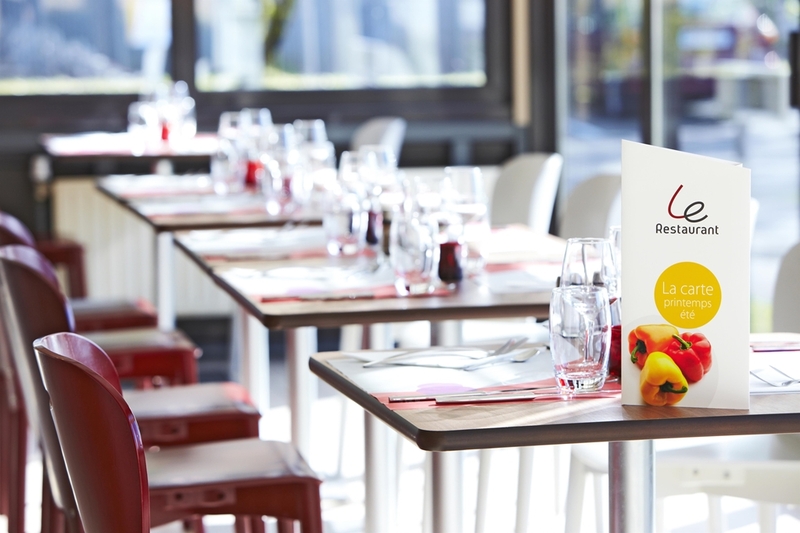 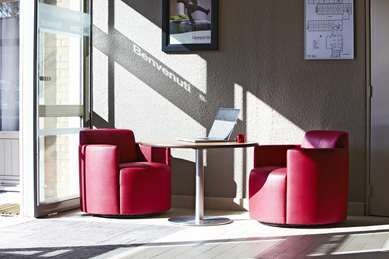 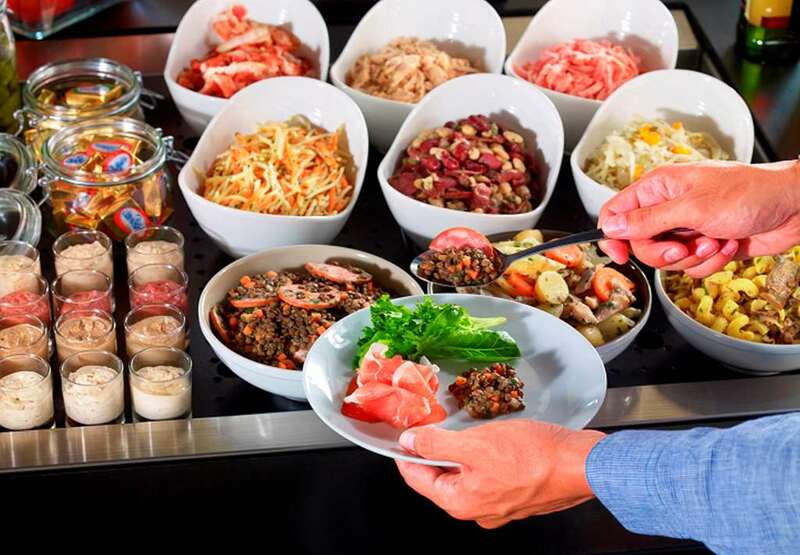 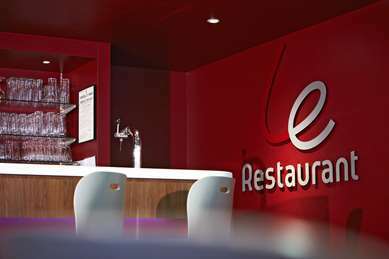 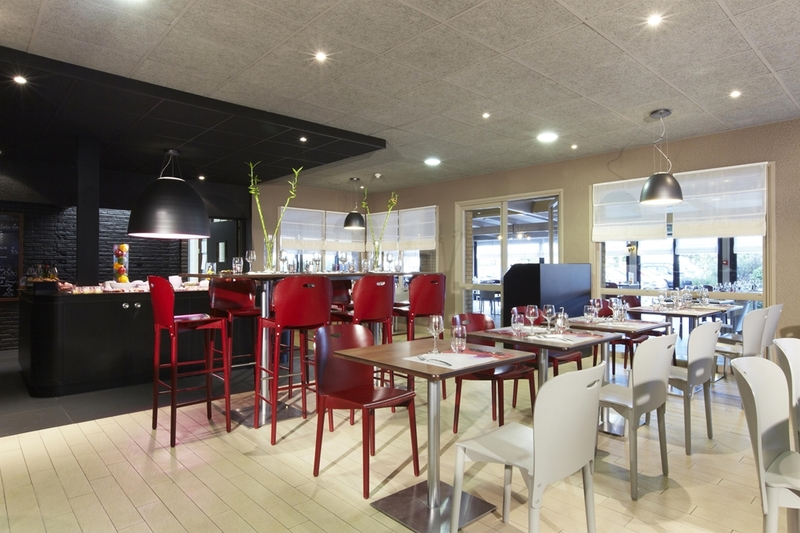 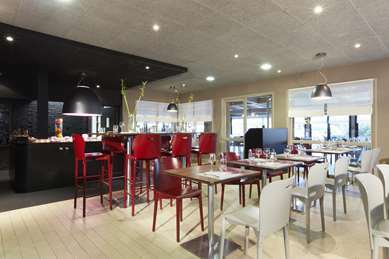 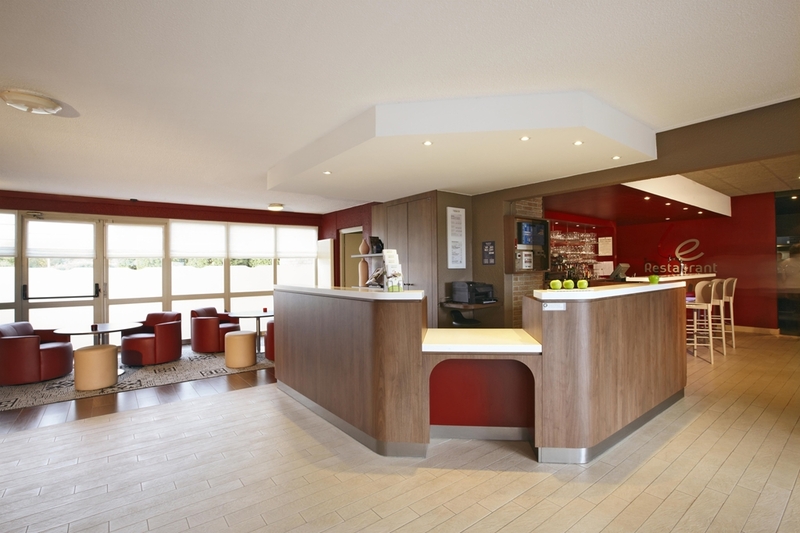 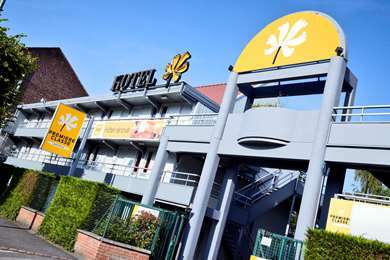 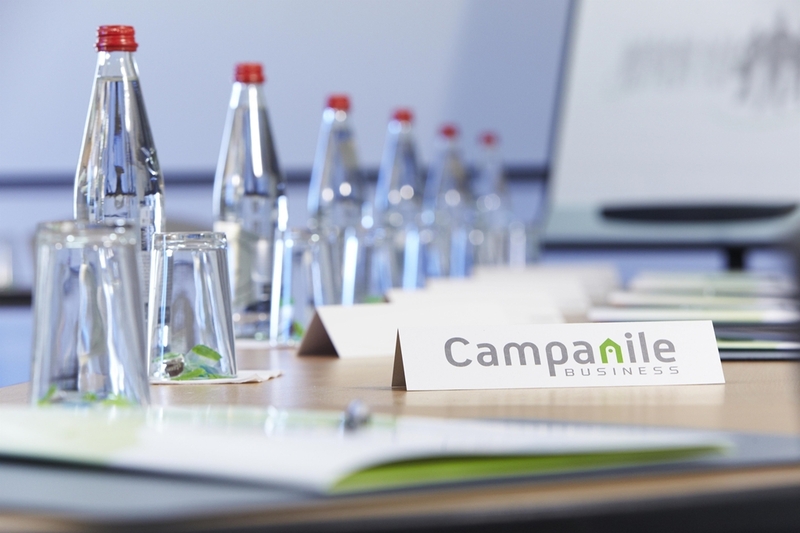 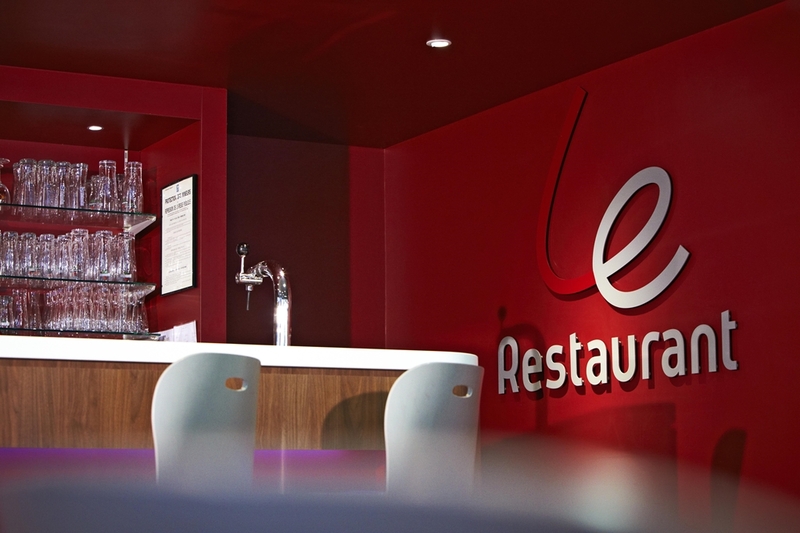 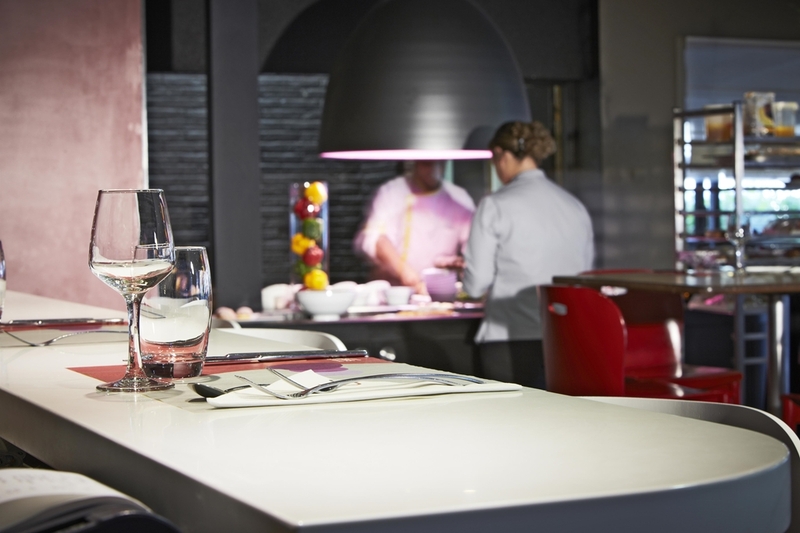 It's easy to feel at home in the three-star Hotel Restaurant Campanile Dunkerque Sud - Loon Plage, where professional staff are able to help you in French, English and German. 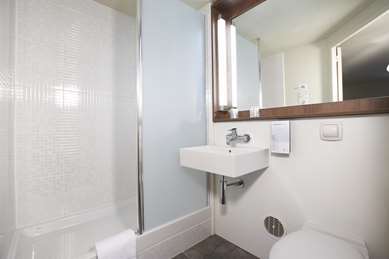 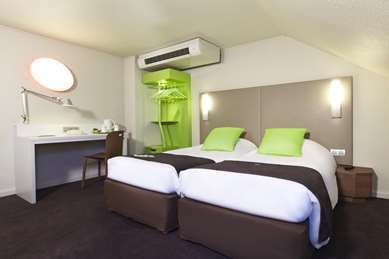 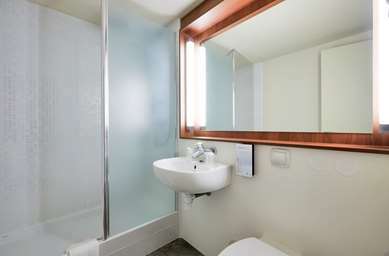 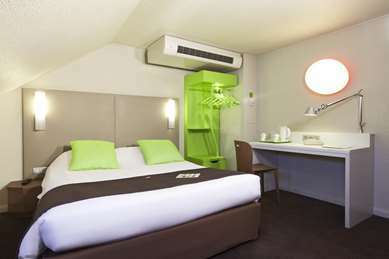 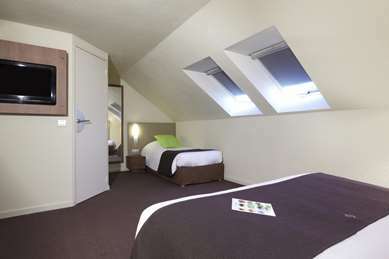 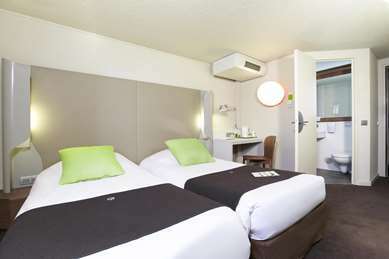 Choose from a wide selection of en-suite smoking or non-smoking rooms: rooms: single, double, twin, triple or quadruple. 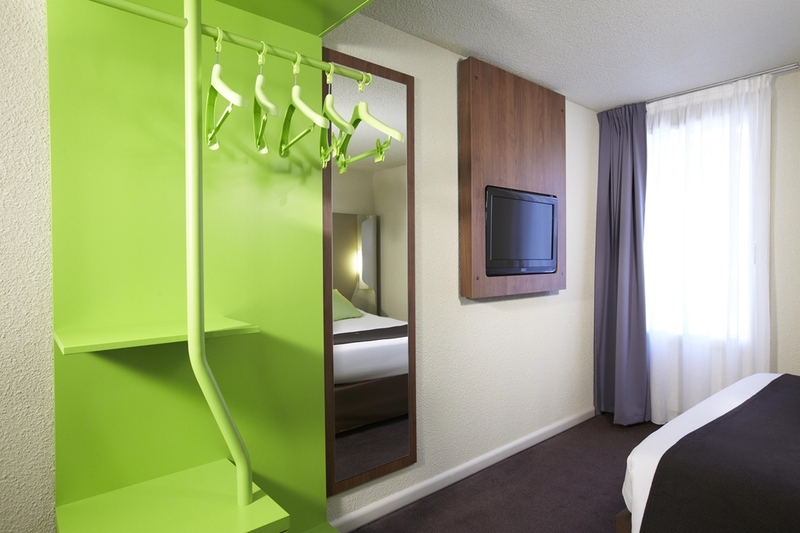 All rooms have television for your viewing pleasure. Enjoy a drink in the bar or on the terrace or have a meal in the restaurant, which serves from 19:00 to 22:00. 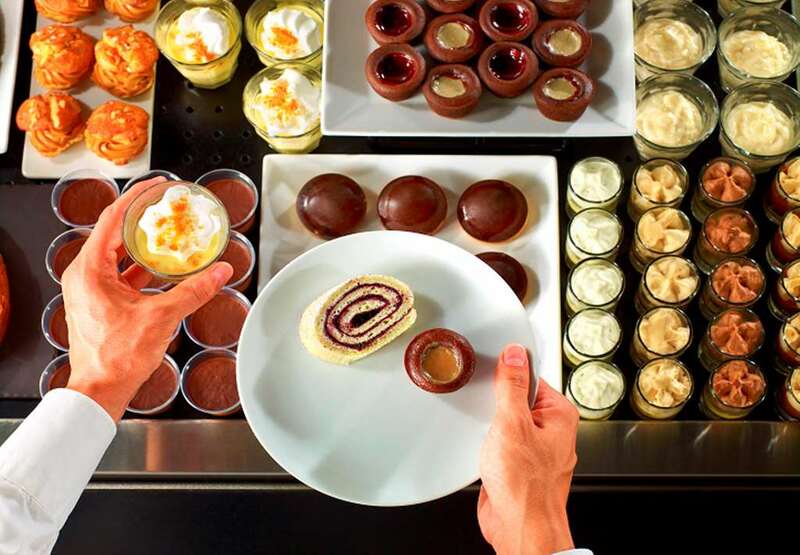 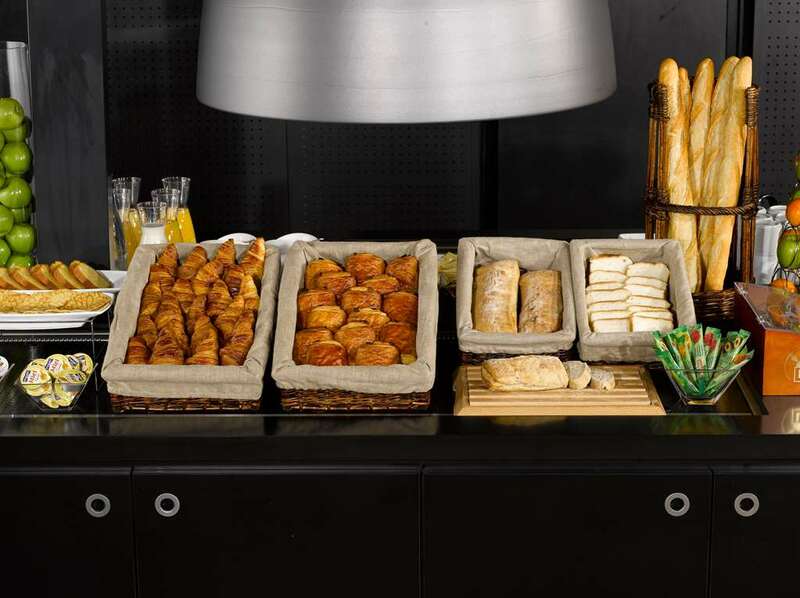 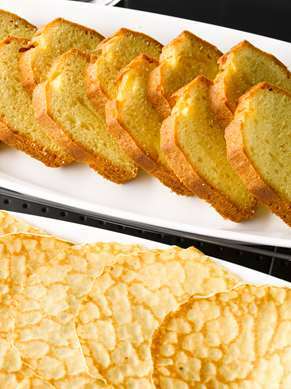 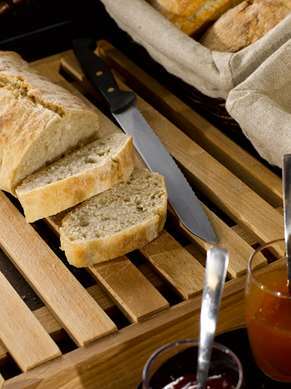 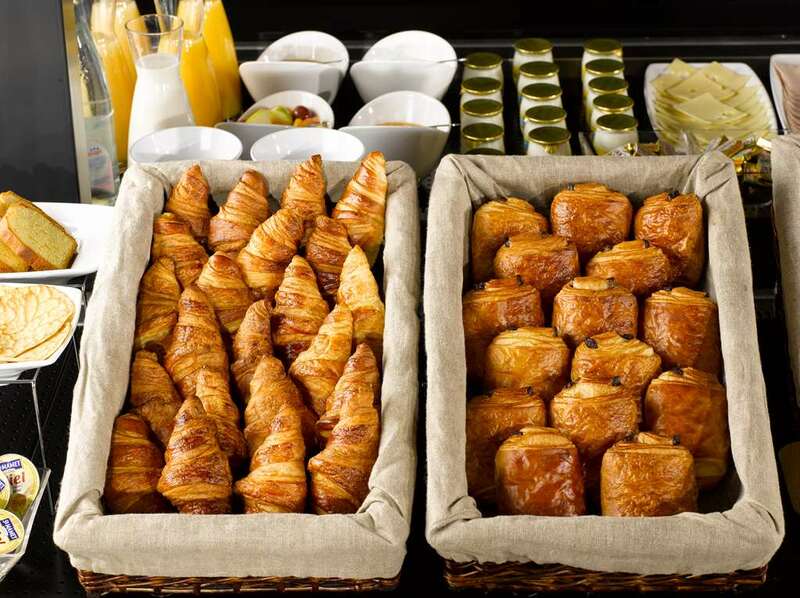 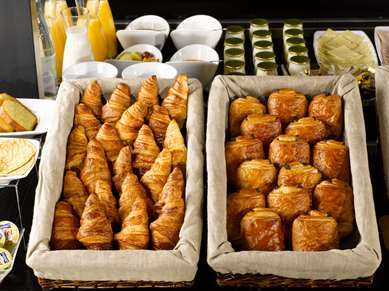 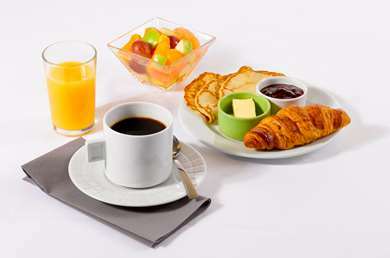 An individual or group breakfast buffet is also served each morning. From Dunkirk Centre: take the N1 towards Calais/Gravelines. 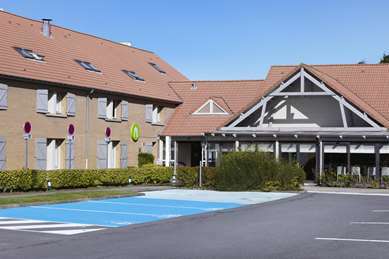 From Paris/Lille: direction Dunkirk then take the A16 towards Calais, exit 24 Loon Plage, then driection ZIP Loon-Plage.